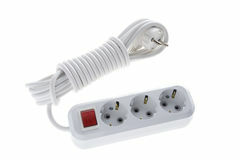 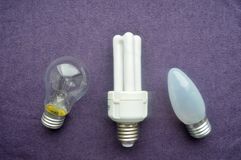 LED Fluorescent and Incandescent Light Bulbs. 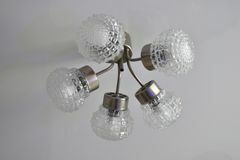 Set of Light bulbs isolated on white Glass room electric chandelier. 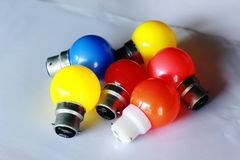 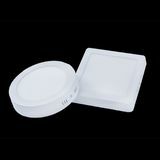 Colorful bed light falling with a white background LED Panel light on isolated black background LED light bulb on table with white background Lightbulbs Three light bulbs. 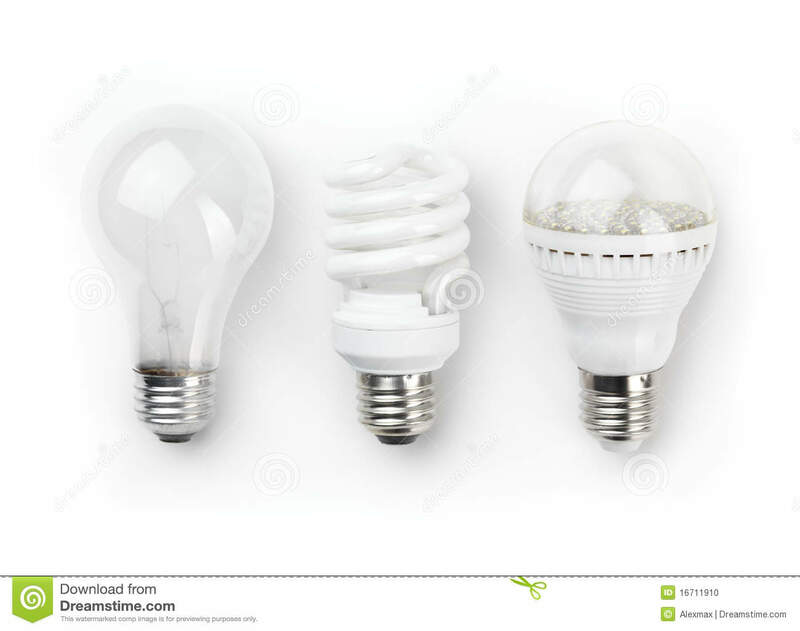 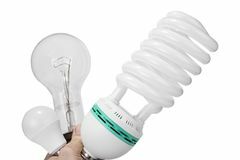 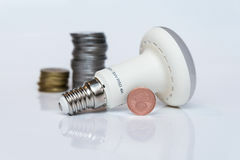 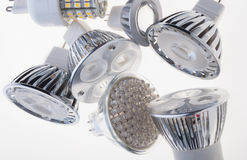 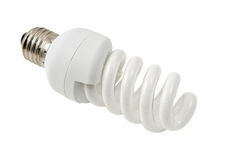 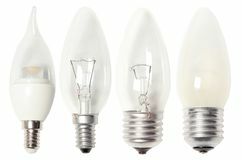 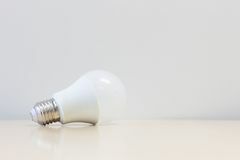 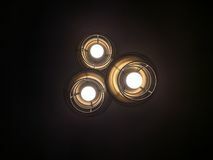 A white energy-saving fluorescent bulb with four tubes, an oblong incandescent bulb with gray glass, a round or Economical lamp Classic bulb versus compact fluorescent versus new led bulbs.